Does living with a pet really make people happier and healthier? What do we make of the fact that in 1933 the Nazi party enacted the world’s most progressive animal protection legislation? Why can a puppy be regarded as a family member in Kansas, a pariah in Kenya, and lunch in South Korea? Who enjoyed a better quality of life—the chicken on a dinner plate or the rooster who dies in a Saturday-night cockfight? What can we really learn from experiments on mice? 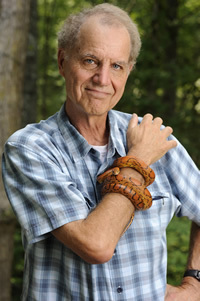 Drawing on more than two decades of research in the emerging field of anthrozoology, the new science of human–animal relations, Hal Herzog offers surprising answers to these and other questions related to the moral conundrums we face day in and day out regarding the creatures with whom we share our world.